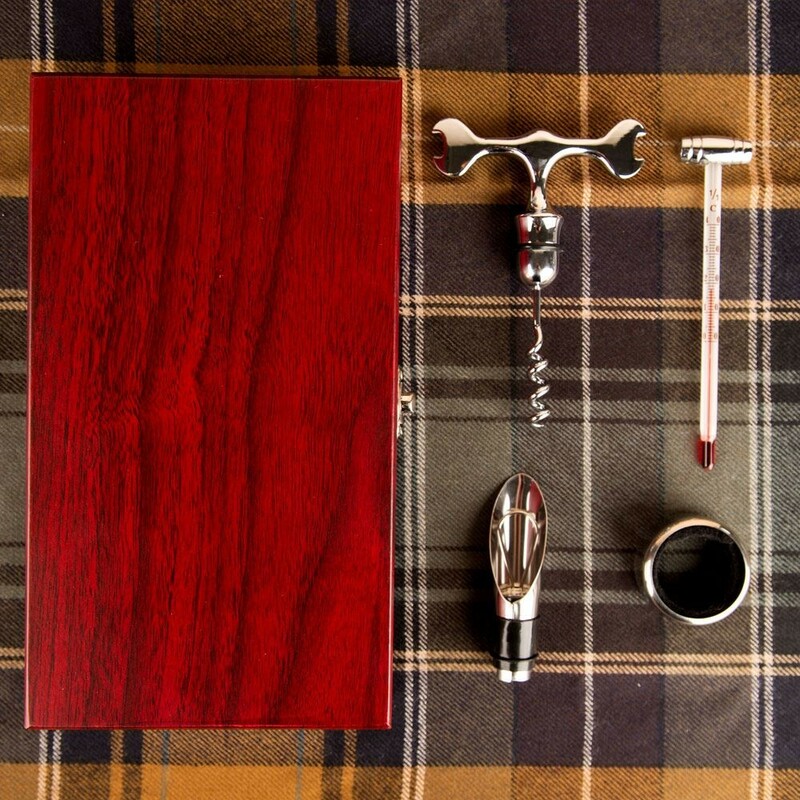 This bar set is an essential kit for wine lovers for Christmas, Birthday, Father's Day, Mother's Day or even a Thank You Gift. 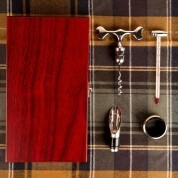 It houses a corkscrew, anti drip ring, wine pourer and thermometer. 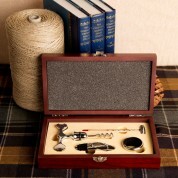 This gift is beautifully presented in a brown wooden gift box so would look the part displayed in the kitchen on a side table or glass cabinet. Dimensions: Approx 23m x 13cm x 5cm depth.